To what extent do you think the following things have happened in your Mobile CSP course this year? Here are the results we received. 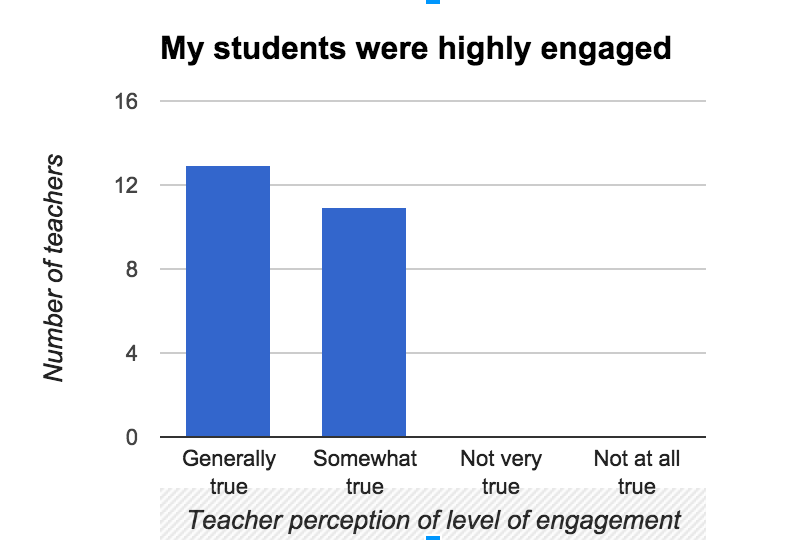 Students were highly engaged? All 24 teachers reported that statement as generally or somewhat true. None reported that it was untrue. 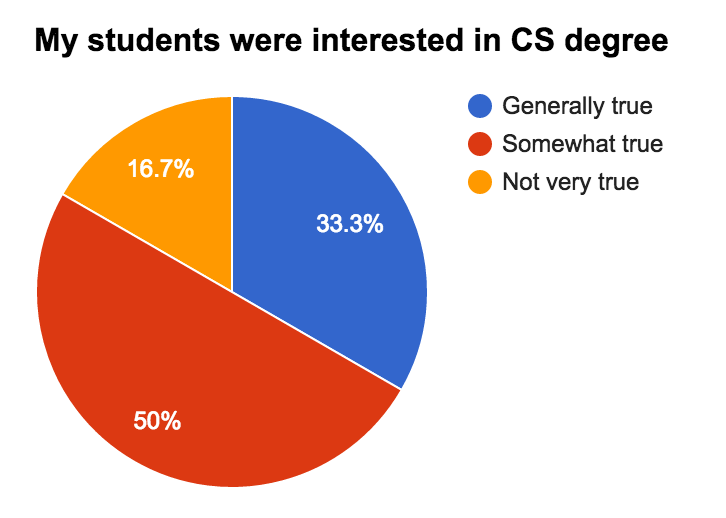 Students are interested in Computer Science degrees. Twenty out of 24 teachers reported that statement as generally or somewhat true. 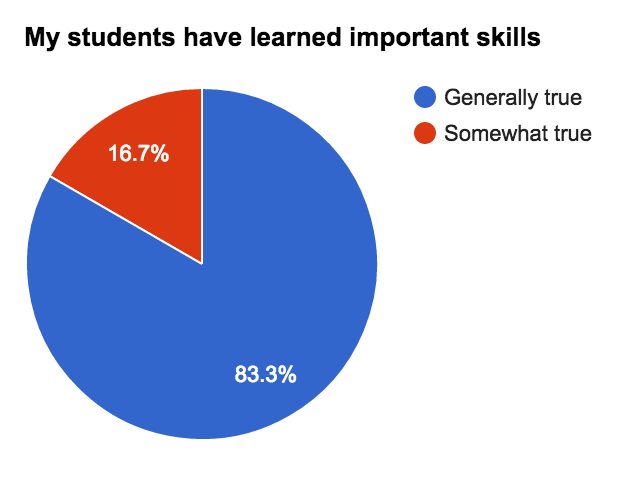 Students have learned important skills. All 24 teachers agreed that that statement was generally or somewhat true. None disagreed. 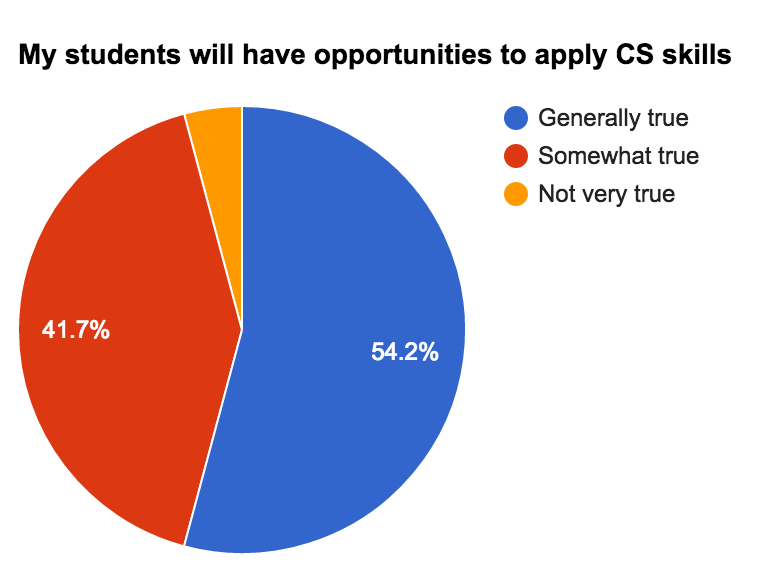 My students will have opportunities to apply their CS skills in the future. Twenty-three out of 24 teachers agreed that that statement was generally or somewhat true.